La Cité de la Mer in the heart of adventure ! La Cité de la Mer is located within the former transatlantic liner terminal dating from the 1 930’s. This magnificent building has been included in the additional inventory of historical monuments and welcomes some of the most prestigious cruise liners stopovers. Its ambition is to let you discover in a daytime visit the fantastic human adventure of the conquest of the great depths. 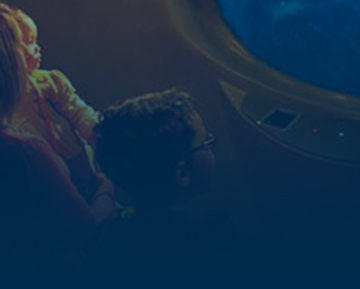 Spend a whole day exploring mankind’s adventures as they conquer the ocean depths. Go on board Le Redoutable, the largest submarine* open to the public in the world. Our steel giant is celebrating her fiftieth birthday in 2017 with a new audio guide for family ! Marvel at the 1,200 brightly coloured fish in our 17 pools, including the spectacular, 11 metre-deep, Abyssal Aquarium*. *Renovation work until Spring 2019. 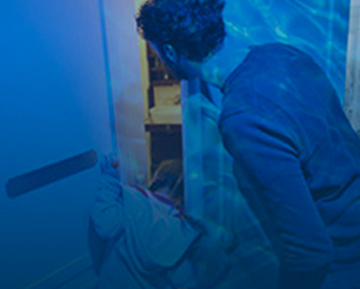 Relive the legend of Titanic, from her stopover in Cherbourg until the night of the shipwreck. 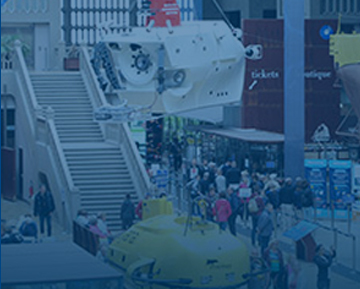 Explore a unique collection of iconic machines that have all taken part in deep-sea diving operations.